What happens when you buy a holiday home – but don’t tell your friends and family? Trailing my toe in the infinity pool, I felt a twinge of excitement. Behind me, a terracotta-topped villa shimmered in the warm winter sun, only a tangle of fuchsia bougainvillea casting shade across its walls. Beyond the pool, row upon row of vineyards reached down towards the Mediterranean Sea. Staying in such a spectacular pad provides a taste of another life; you know, the sort that other people tend to live. But this time, it was mine. Three months ago, my husband and I bought this beautiful four-bedroomed bolthole near Valencia for a steal from an owner desperate to sell. Keep it under your sombrero, though, because our Spanish hideaway is a closely guarded secret. Bar our parents and siblings, we’re not telling a soul. And we’re not alone. 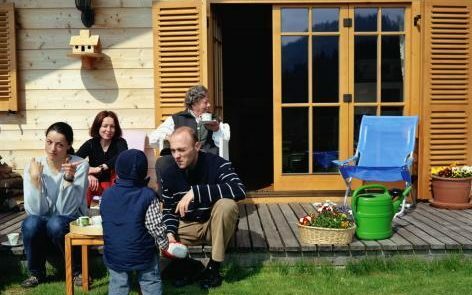 An estimated 1.1 million Britons own a second home in the EU alone – France, Spain, Portugal and Italy, in the main – and a recent poll by survey company OnePulse revealed that around a third of them keep it on the QT. The reasons are varied, but the most common concern (for 58 per cent of owners) is that friends and family will expect a freebie. Others worry that spreading the word would be seen as bragging. In our early 40s, with a young son, our new purchase feels just reward for years of hard work – my husband in construction, me as a journalist – and being shrewd with our money. But we might not have thought to keep it under wraps but for a chance conversation with a friend last summer. We were discussing an imminent break to Mallorca when he whispered that he and his wife have owned a villa for 15 years in the very town we were visiting. No one, except their immediate family (and now us) had a clue. “If it were common knowledge we’d have spent years fending off requests for ‘a week in June’ and the like,” he told us. “Once you let one friend stay, you open the floodgates to the rest.” When we subsequently confided our own plans to buy abroad, his advice was clear: keep it to yourself or it won’t be the escape you want it to be. It’s a sentiment shared by Andrew Burton*, 51, and his wife Jacqui, 43. Ten years ago, Andrew, a successful businessman, flew from Yorkshire to Quinta do Lago on the Algarve - second home to footballers including Steven Gerrard - with “£850,000 in my pocket” and returned with the keys to a luxury villa with private pool. Still, good friends or not, they may not treat your home as you would. We’ve had plenty stay at our house in the Midlands who have left the guest room and en suite looking like a war zone -giving them the run of our holiday home would leave my nerves frayed. But there’s something else at play, too. The lines between our work and personal lives have become so blurred now, that even on holiday it can feel like there is no escape. 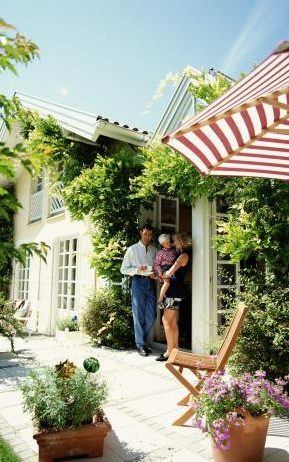 “Who, of our generation, doesn’t sometimes hanker after the days when we’d disappear to the Med for a fortnight and, other than calling home once from a payphone, there’d be no reminder of normal daily life?” says Natasha Greenhalgh*, 48, a stressed-out architect who bought a three-bedroom gite near Bordeaux in 2013 with her husband Nick, 51, and decided not to tell a soul. We resisted the urge to exchange a knowing glance. “Yes, we did,” I replied. “Yes, I think we will,” I said, poker face in place.